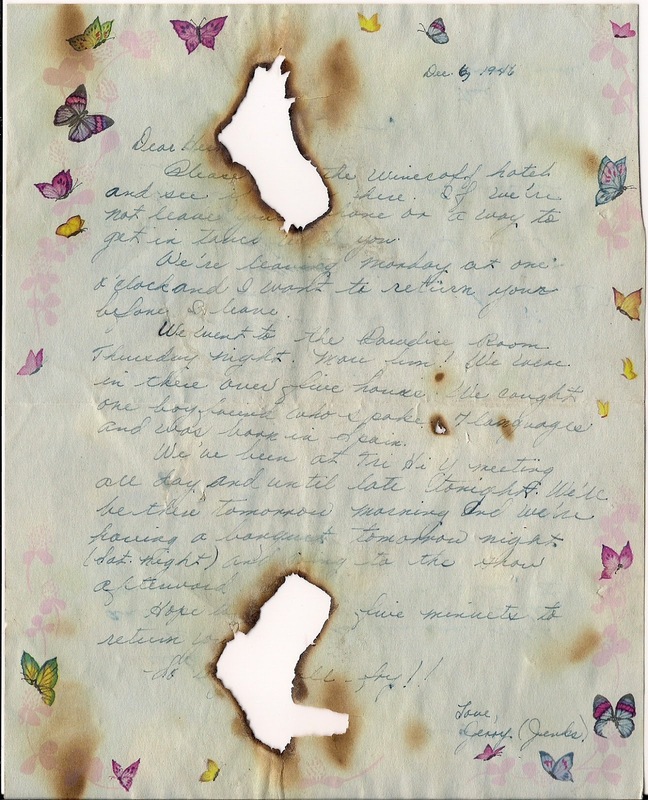 This letter was scorched by the Winecoff fire. 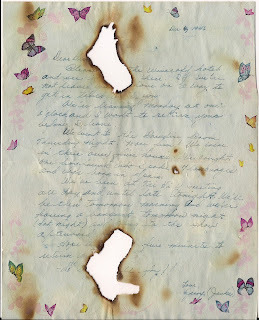 Fire victim Jerry Jenkins, 15, wrote the letter to her boyfriend, Herman Easom, a few hours before the fire broke out. It was later recovered from room 930. It found its way to the Atlanta Post Office and was then sent to her family in Donalsonville, Ga. Today it is kept safe and held dear by her brother, Brantley Jenkins.